Edward Armstrong ‘Ted’ Johnson passed away Sunday, August 26, 2018 in his home surrounded by loved ones. He was born September 27, 1932 to Edward Burke and Mary Armstrong Johnson in Laramie, WY. His family moved to Buhl, ID at age three and lived there until he graduated from high school. Ted was preceded in death by his 5 sisters (Genevieve Davis, Vivian Allen, Evelyn Callis, Lola Presley, Louise Wimmer) and a brother (Keith). His only surviving sibling is his sister, Elaine Hansen, of Orem, UT. Ted attended Brigham Young University, where he was Junior Class President. He served a mission from 1953 to 1955 in Australia. While on his mission, he played with the Mormon Yankee Basketball team that became very well-known throughout Australia. He returned to BYU where he met and married Janice Martin on December 21, 1957 in the Los Angeles Temple of The Church of Jesus Christ of Latter-day Saints. They subsequently lived in So. California while Ted attended the USC Law School. Upon graduation, Ted served in the Air Force as Judge Advocate officer. Ted and Jan settled in Boise in 1964. He practiced law for a short time, and then became the Boise Municipal Judge and United States Commissioner for Idaho. In 1975 he turned his full attention to land development and developed many notable neighborhoods in West Boise. 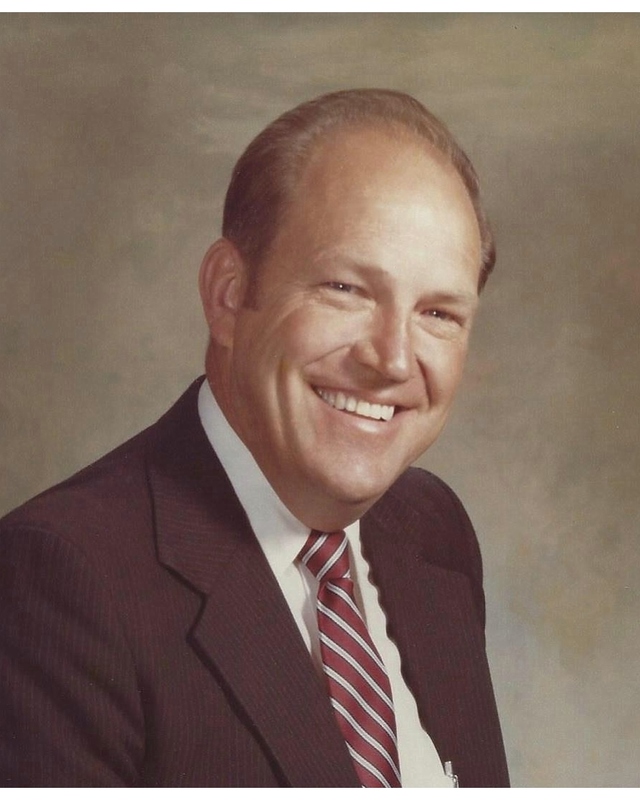 He served as bishop of the Ustick Ward in the LDS church, as president of the Missouri Independence Mission ’76-’79, as the Northwest Area Public Affairs Director, as a gospel doctrine teacher, and many other church assignments. He loved studying the scriptures and sharing what he learned with his family. Ted and Jan have 11 children – Kerrie (Dale) Cox, Paul (Alice) Johnson, Kristin (David) Turnbull, Rebecca (Raul) Labrador, Tucker (Denise) Johnson, Martha Johnson, Clark (Jane) Johnson, David (Mindy) Johnson, Sam (Kathy) Johnson, JennyLyn (Blair) Wood, and Tyler (Rachel) Johnson. They have been blessed with 47 grandchildren and 15 great-grandchildren. Ted loved his family, his country and his God and was never bashful about sharing that passion with others. He was very sensitive about those who were in need and is remembered by many simply as a man “going about doing good”. He was truly one of a kind – the most colorful and interesting individual you will ever know. Funeral services will be held Saturday, September 1, 2018, 11:00 a.m., at the LDS Chapel located at 3775 E. Ustick Rd., Meridian. A viewing will be held on Friday night, August 31, 6:00-8:00 p.m., at Relyea Funeral Chapel, 318 N. Latah St., Boise, as well as from 9:30-10:45 a.m. before Saturday’s service. Interment will follow the service at Cloverdale Cemetery, 1200 N. Cloverdale Rd., Boise. In lieu of flowers, please make donations to LDS Humanitarian Services or Missionary Fund.